Last season the Crested Butte Titans finished third in their league standings and missed a bid to the state tournament by one spot. The highlights included a come from behind win at their homecoming game and a win over non-league powerhouse Basalt. Unfortunately, the Titans also dropped a few too many games, falling short of their pre-season goals. 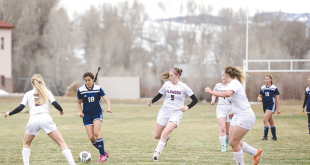 Nevertheless, 16 players from the team suited up for spring soccer season building on new concepts and the team is in the midst of implementing those during their preseason workouts the past two weeks. They opened the pre-season with their annual Midnight Madness and have been pressing on from there. While coaches Than Acuff and Bob Piccaro are busy getting the team in shape and tuning up their technique, the team has been going through the nuts and bolts of their new approach to the game. Seniors Linehan, Jovany Aguirre, Zane Reda, Alexander Dumas, Tate Young and Slater Weil will be charged with leading the team through the season, with a host of talented juniors adding to what could be a potent mix. All told, the Titans have 30 players out this season and there continues to be a battle among them for who will step into varsity roles. The one drastic change this year is the schedule. The state governing sports board has pushed the season up a week. As a result, the team will miss out on its traditional team hike and, instead, be on the road this weekend as they open play with games against Cortez and Bayfield on Friday and Saturday, August 24-25. “If we bring it and come into the games with the right intensity and play our game, the weekend should go well,” says Linehan. 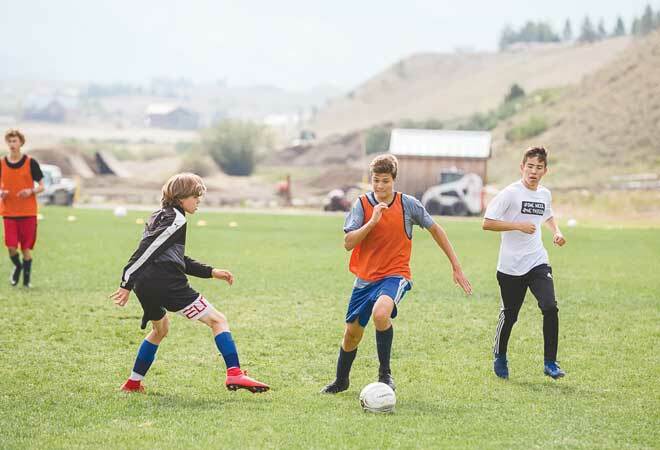 Also new this year, that same state governing board has adopted a state tournament for 2A-sized schools such as Crested Butte. As a result, the Titans need to win their mini-league that includes Ridgway and Telluride if they want a shot at the post-season. 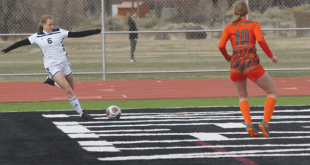 The Titans have their first home game of the season on Tuesday, August 28 when they host the Pagosa Springs Pirates at 4 p.m. at Rainbow field.